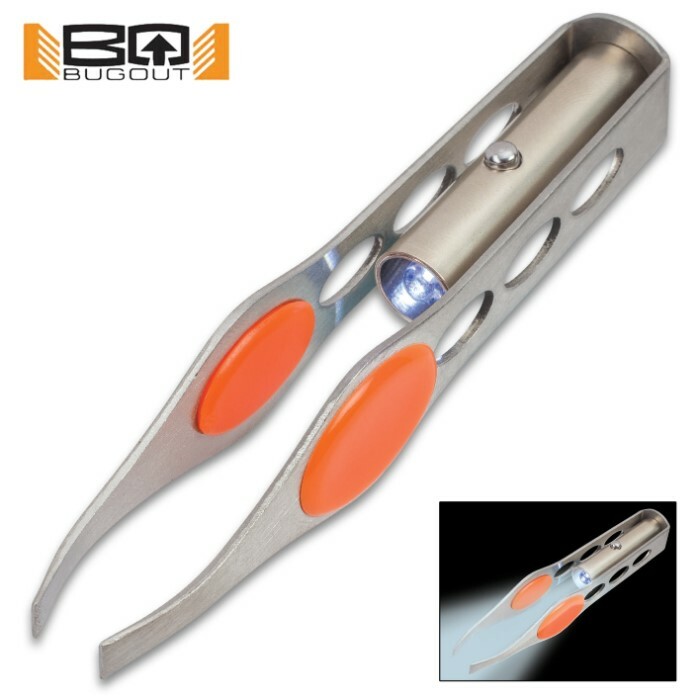 UST Trail Tweezer - Stainless Steel Construction, Rubber Finger Pads, Integrated LED Light - 3 3/4” Length | BUDK.com - Knives & Swords At The Lowest Prices! 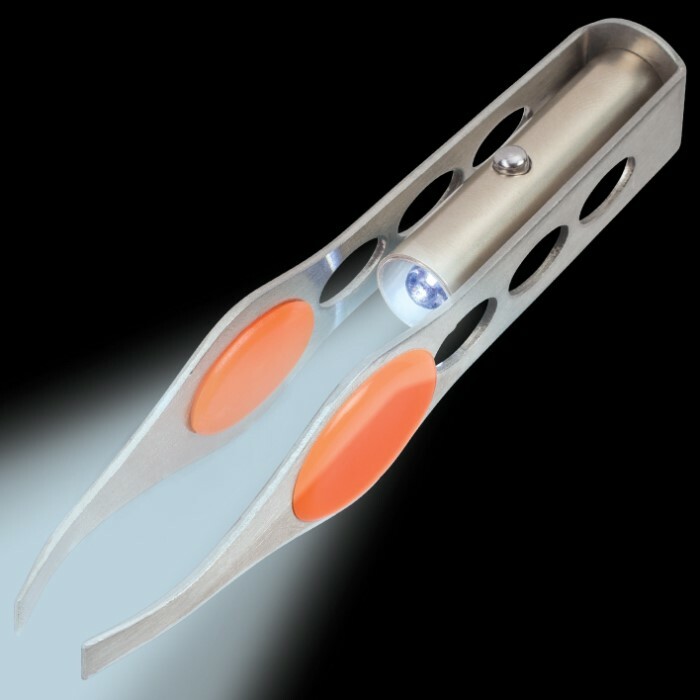 The innovative UST Trail Tweezer makes it easier to see and remove ticks and splinters with an integrated LED light in its center. The tweezer is made of durable, rust-resistant stainless steel and features rubber finger pads to ensure a better grip when using. It’s powered by three AG3 batteries (included). 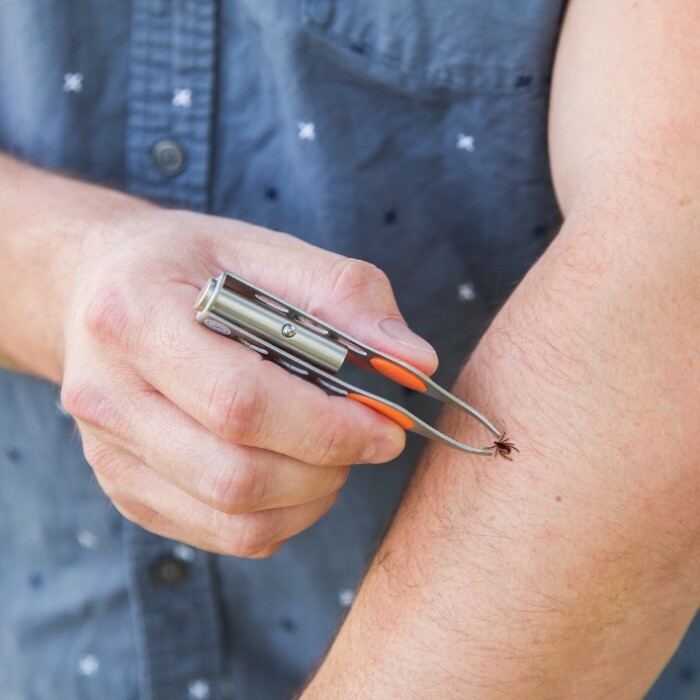 The Trail Tweezer is an essential tool for wilderness survival and emergency preparedness first aid kits, plus your home or office.